Add a contemporary twist to your kitchen with geometric design lines crafted in stainless steel. 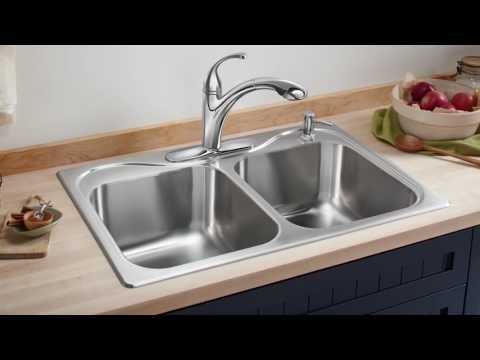 The Carthage kitchen sink delivers ample workspace along with SilentShield(R) technology, an exclusive sound-absorbing system, which reduces noise and vibration. Add a contemporary twist to your kitchen with geometric design lines crafted in stainless steel. The Carthage kitchen sink delivers ample workspace along with SilentShield© technology, an exclusive sound-absorbing system, which reduces noise and vibration.